Crane Banjos are finished with natural, drying hempseed oil, pure beeswax and propolis (a mixture of plant resins that is collected by bees). Not only does this finish feel good and smell good, it can be 'fed' anytime it wears thin. All varnishes eventually crack and can be scratched and chipped. An 'open finish' can easily be refreshed. 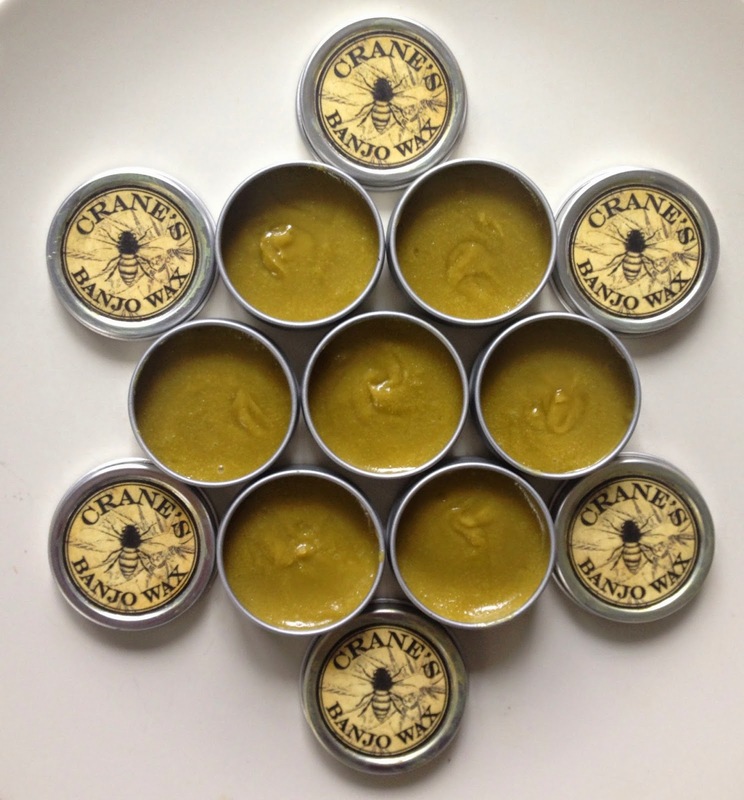 Every Crane Banjo comes with a 1/2-oz tin of specially-blended Crane's Banjo Wax. Just schmear a little on with your fingers (it's completely non-toxic) and buff with a soft cloth.